For Eustacia Rochdale it is like a dream come true when she becomes the wife of Julian Kershaw, heir to Dragonmede. For her gay, reckless mother Luella, it is the achievement of a lifelong ambition. Written by Rona Randall. 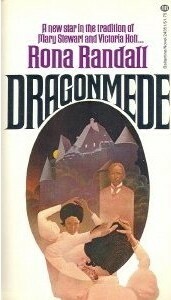 First published 1974 by William Collins Sons & Co. First issue in Fontana Books 1975. 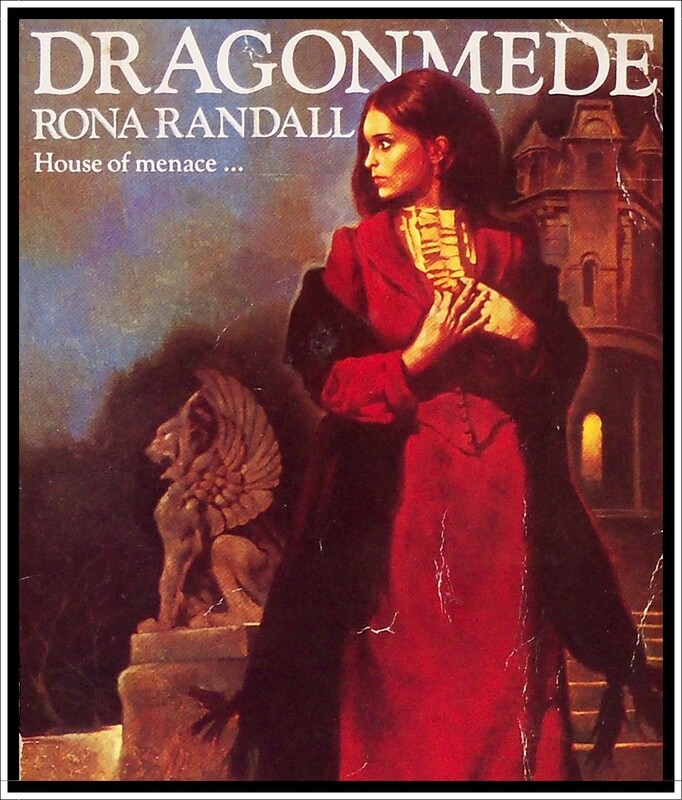 I’ve read and enjoyed a few Rona Randall gothics, so was very pleased to come across this Fontana edition of Dragonmede at a local jumble sale. Dragonmede follows the fortunes of Eustacia Rochdale, a young Victorian woman who falls in love with Julian Kershaw, suave Sussex aristocrat and regular visitor to the illegal gambling den run by Eustacia’s mother, Luella. Despite his gambling addiction, Julien appears to be everything a woman would want in a man – handsome, passionate and rich, rich, rich and Eustacia is overjoyed when her feelings for him appear to be reciprocated. Luella Rochdale notices the mutual attraction between the two and is eager to marry her daughter into a good family. However, Luella has a reputation for being a bit of a tart and her gambling house, though tolerated, is frowned upon by the neighbours. Though she has done everything possible to raise her daughter as a lady, educating her in the best schools and sheltering her from the caprices of her more amorous clientele, she realises Eustacia may be considered a less than desirable catch for such a gentleman and so uses all her wiles to ensure her daughter is safely wedded and bedded into the respectable Kershaw clan. Eustacia is ecstatic when Julian proposes, but, this being a Rona Randall gothic, marriage to the man of your dreams is when your problems really begin. Arriving at Dragonmede, Eustacia is made to feel less then welcome by the usual gaggle of gothic misfits living there, while her husband’s behaviour towards her very quickly becomes increasingly cruel and controlling. 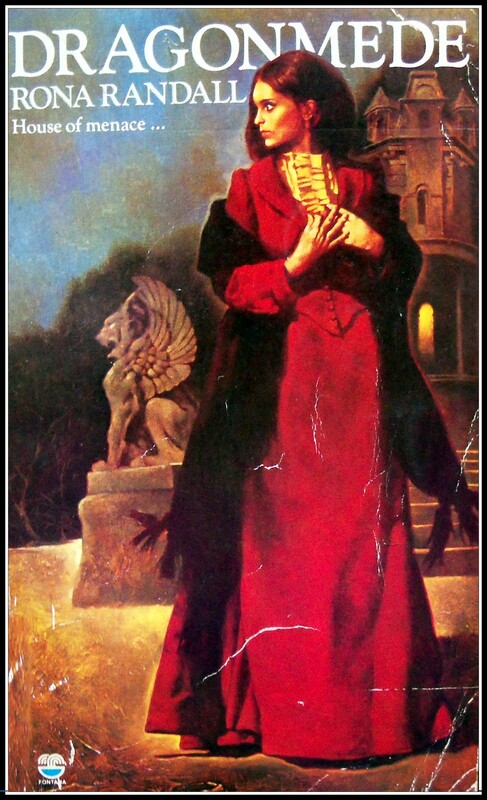 Dragonmede has all the necessary ingredients for a good gothic – an old gloomy house, an isolated imperilled heroine, ancient curses, handsome men, sadistic men, mad artistic creepy-paintings-in-the-attic men, secret love affairs, inexplicable accidents and a grisly murder. Though the plot seemed to meander a bit for me toward the end, I liked the cast of unconventional characters – particularly Luella, the scheming cardsharp who stopped at nothing to better her daughter’s position. Four out of five stars.